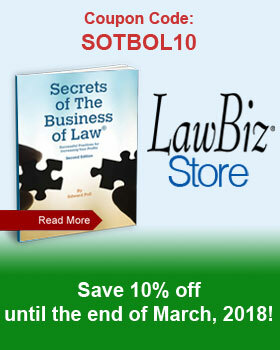 Are you looking to grow your law firm? There are many ways lawyers can promote their practices; from online promotion and physical products, to getting creative with your billing. You are limited only by your imagination when it comes to what can be created to market yourself, although the bulk of items produced by lawyers tend to fall into only a few categories. Specific products being successfully produced by lawyers around the country now include articles in publications, newsletters (both hard copy and electronic), books, seminars, surveys, audiotapes and videotapes. The website is an important element of any marketing program and a singularly important communication vehicle. For your site to be effective, however, it must be reviewed and updated frequently, which includes adding fresh content and making sure that it represents the types of services and solutions that you can provide. It should not be just a static electronic brochure. Make sure that it represents you well in how you want to be seen by clients and prospective clients. If you think marketing is restricted to advertisements, brochures, and the like, then you are missing an amazing opportunity—the hidden opportunity that bills represent. In addition to the status reports and letters that you send to your clients every month, your bill is the single most obvious way that clients see what you are doing for them. Don’t waste this valuable opportunity to look good to your client.